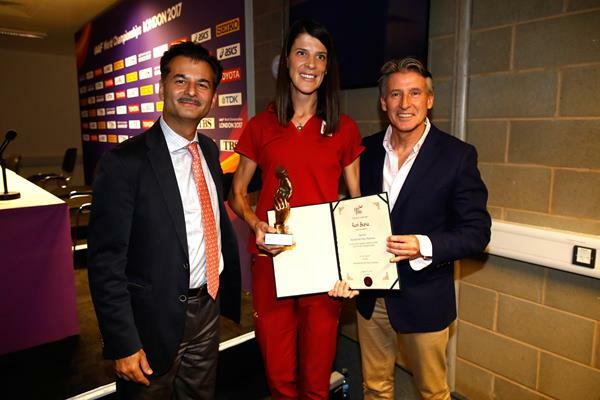 Olympic high jump champion Ruth Beitia of Spain received a Special World Fair Play Award from the International Fair Play Committee (CIFP), with the support of the IAAF, at a ceremony in London on Sunday, 13th of August. "I have devoted 32 years to this sport and it has shown me that it creates values. On the track, you just have to be the same person that you truly are. What I did here, I would do it over and over again. Anytime I can assist any of my team-mates I am there for them."